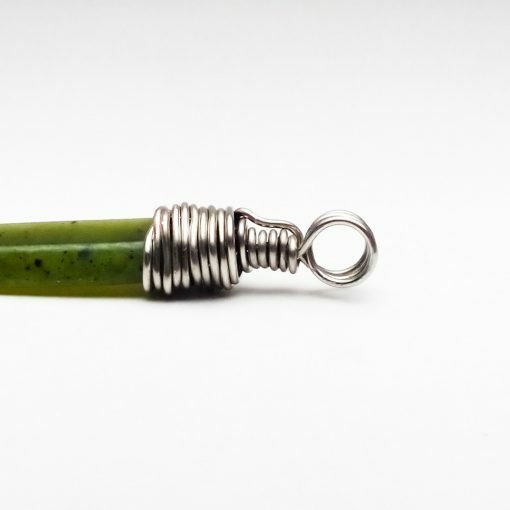 This Canadian Nephrite Jade Silver Wrapped Pendant, from Black Six Jewelry, has a bohemian-chic design that features a sterling silver wire wrapped design along with a Canadian nephrite jade gemstone. 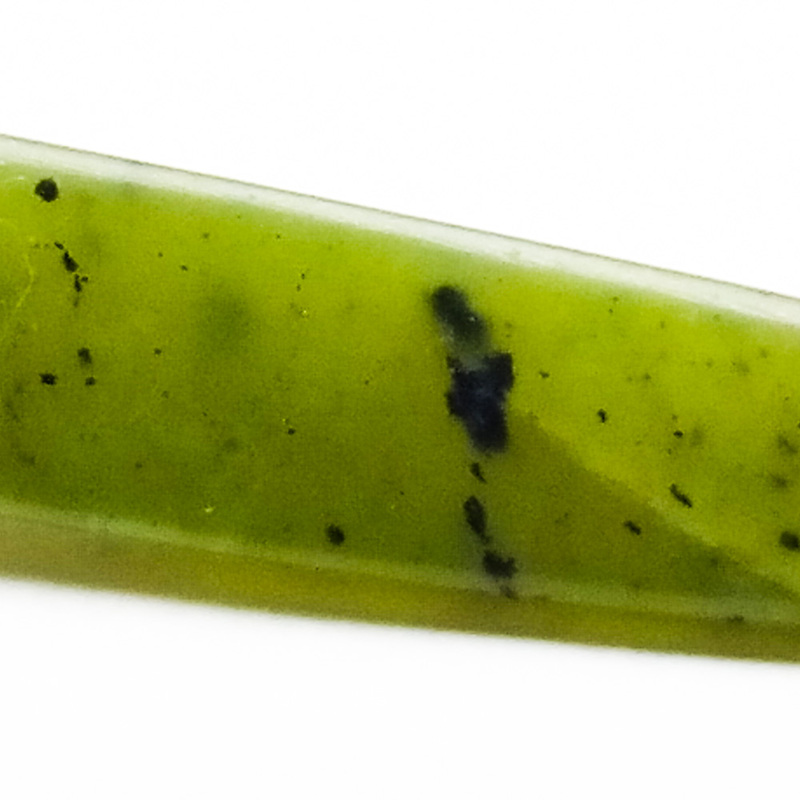 This gemstone has a really nice, deep green color with occlusions typical in nephrite jade mined from Canada. Its sterling silver wraps look great and its unisex design can be worn by both men and women. Created by Black Six Jewelry with comfort in mind, the pendant has been designed to prevent catching on clothing and skin. 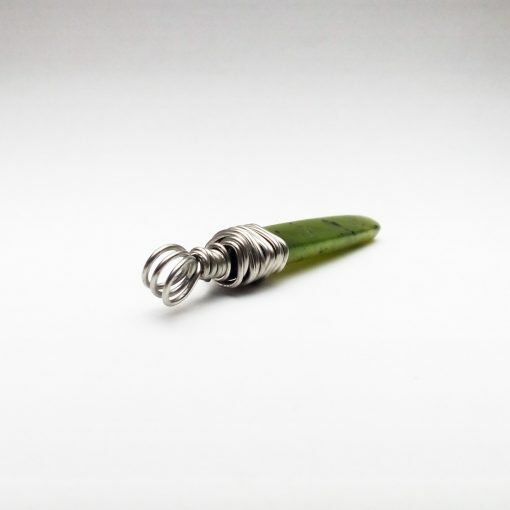 The average length of each pendant is over 2″ (50 mm) in length. The average width is over 1/4″ (7 mm) wide. This jewelry piece is very comfortable for wearing every day and commands attention when worn with Black Six Jewelry’s 30″ Single Wrapped Chains or 30″ Double Quad Wrapped Chains (sold separately). The pendant has a 6 mm triple-loop bail (inside diameter) available to slide your neck chain or cord through. 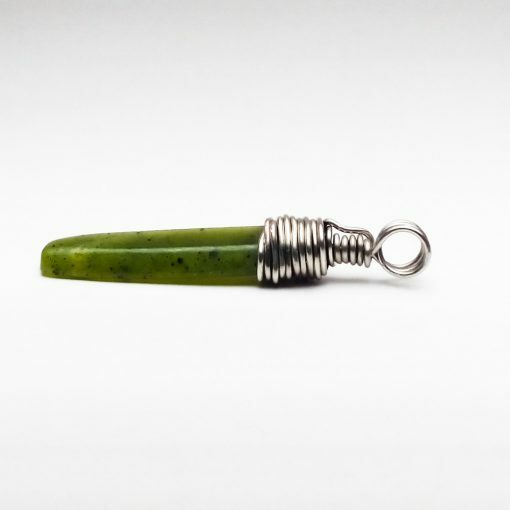 Not every Canadian Nephrite Jade Silver Wrapped Pendant is individually photographed. 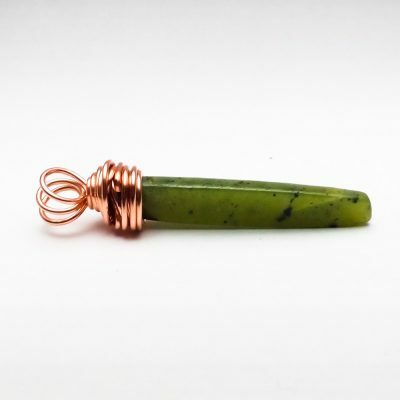 The pendant you receive will be very similar to the one pictured but may differ slightly due to gemstone differences and variations during the fabrication process (hammering, patina application, etc).